Visit our downtown Guerneville office, in the heart of the Russian River. Check out Russian River Real Estate, Guerneville, Camp Meeker, Cazadero, Duncans Mills, Forestville, Guerneville, Jenner and Monte Rio real estate listings. 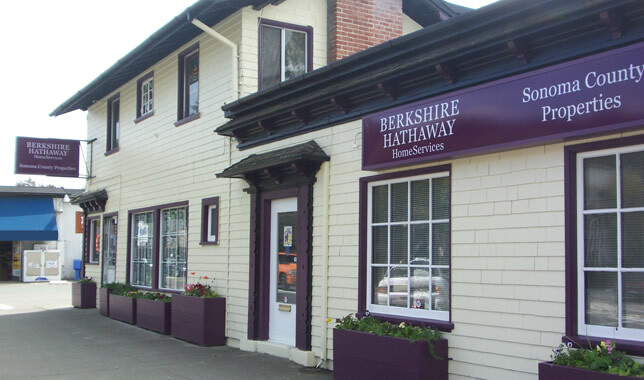 Berkshire Hathaway Inc. is a worldwide holding company based in Omaha, NE. Its chairman and CEO is Warren Buffett, who according to Time magazine’s ranking is among the world’s most influential people. Berkshire Hathaway is the No.1 company in Barron’s 2013 ranking of the world’s 100 most respected companies; it ranks at No. 8 in Fortune magazine’s 50 Most Admired Companies survey; and is No.18 in Harris Interactive’s reputation study of the 60 Most Visible Companies.